Interested in getting involved for the fight for LGBTQ rights in Ohio? Interested in grassroots politics and want to learn how to volunteer in your area? Join the Human Rights Campaign's Equality Academy Training here at Kenyon College to get trained in LGBTQ grassroots organizing! 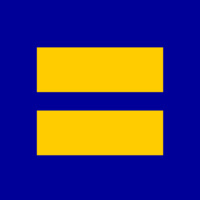 Contact Kyle Marcum at kyle.marcum@hrc.org for more information.